They invited one shy, Dutch photographer to breakfast, they were constantly watched for any untoward activities…and they did pay the hotel bill. These were some of the memories revealed at the launch of a new exhibition at the Amsterdam Hilton of 50 photographs taken in 1969 of John Lennon and Yoko Ono, the world’s most famous honeymooning couple protesting for peace with a week in bed. Turned down by another Dutch hotel, the couple arrived at the Hilton from Paris in a white Rolls Royce, emptied what was room 902 of all furniture apart from the bed and invited in the world’s press for 12 hours a day to record their protest against the Vietnam war. 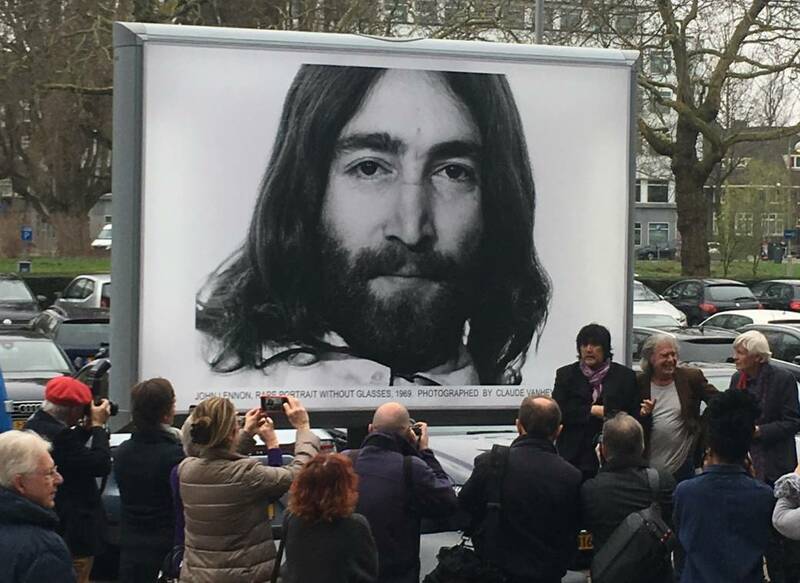 Now, 50 years later, some of the most famous images of Lennon and his bride are on display at the Hilton, together with an exhibition of Lennon and Ono’s artwork and a video room telling the story of their unprecedented demonstration. Mick Boskamp, son of Lennon’s friend Hans Boskamp, told DutchNews.nl that Lennon wanted to do something completely different and decided Amsterdam was the place to do it. ‘My father met John Lennon working in London, and when John was going to get married in ’69, he told my father he wanted to do something fun for his honeymoon. Amstel hotel said no, and they still regret it. Then they came across the Hilton, which said yes. 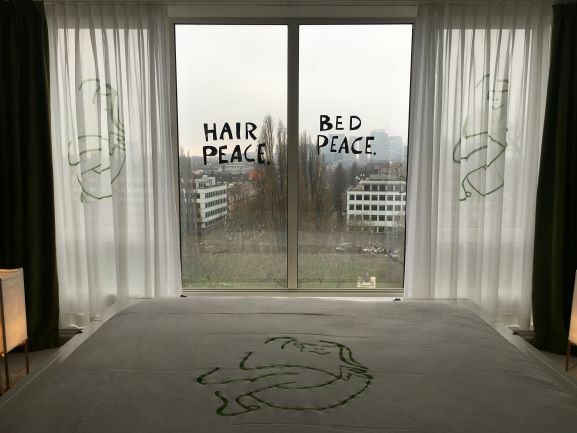 The hotel will run events from 21st to 31st March in honour of the bed-in, including a display of 25,000 tulips, the ‘What happened in Room 902’ exhibition and a show of Lennon’s art which includes a hand-written interview with a young Dutch fan, and images for sale. It’s also possible to take a peek at the room where the loved-up couple demonstrated, now called 702 – with shoes off or shoe guards on. Meanwhile, on 3rd April there will be a jazz and pop concert at the Concertgebouw, Remember Love. At the time of the bed-in protest, Lennon was in the process of splitting from the Beatles and was busy recording and exploring his other love of drawing, with Ono – things he would develop in the years before he was shot dead at the age of 40 in 1980.